Tis the season to be jolly! 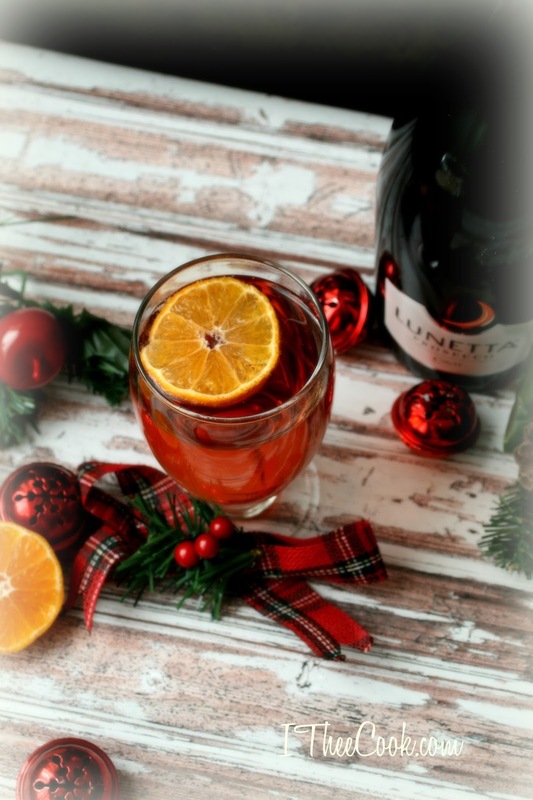 I just love a good holiday cocktail. Combining all the flavors of the season is one of my favorite things to do. I also have a love of wine and more of a love for bubbles as in Lunetta Prosecco. Some of my favorite seasonal flavor combinations are cranberry and clementine. Holiday cheer keeps everyone happy. 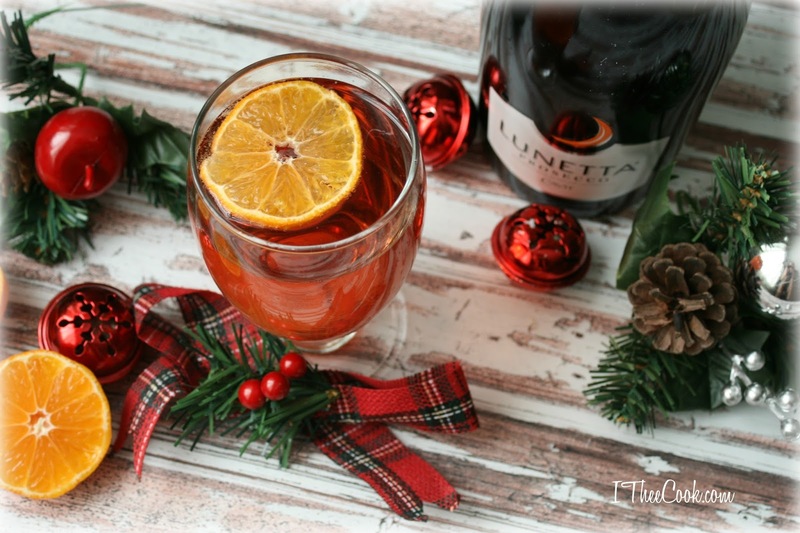 Wether you serve this cocktail to you holiday guests or just pour yourself a glass while wrapping presents, it is the perfect holiday drink! Lunetta ("Little Moon" in Italian) celebrates life's small pleasures. The grapes are handpicked and vinified at Cavit's state-of-the-art sparkling wine facility in the northern Italian region of Trentino, dedicated exclusively to producing world-class sparkling wines. 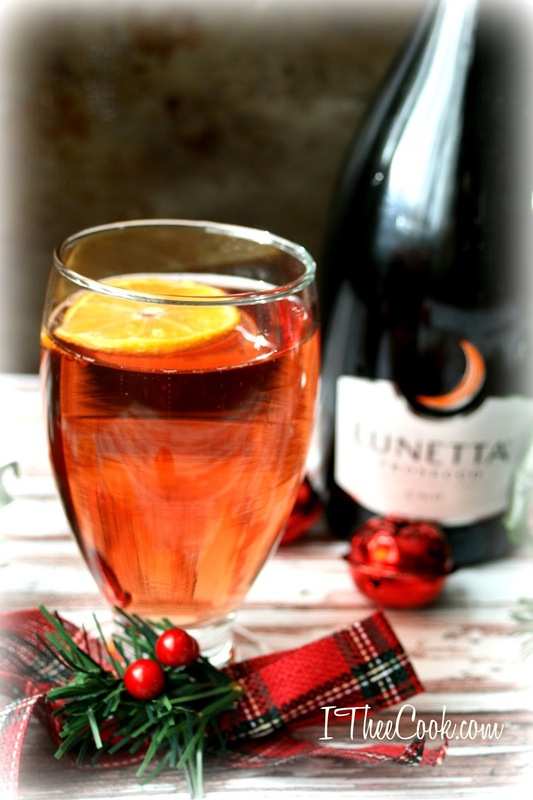 Lunetta Prosecco is delightful as an aperitif or enjoyed with antipasti, hors d'oeuvres, sushi, shellfish and seafood. In a wide, shallow dish, mix zest and sugar together with your fingers. Wet the rim of 8 cocktail glasses with a wet paper towel, and then dredge in clementine sugar to coat. In a large pitcher, use a wooden spoon to muddle cranberry juice, cranberries. Fill pitcher with ice cubes. Top off with clementine juice, and prosecco. Stir vigorously; pour into glasses; garnish with clementine twists and serve.